Treatment of employees is essential for the well development of the company, and constantly it is the main area of risk of the company. For this reason, the management of human resources and the organization of the group of workers, has settled down with the aim of the suitable development of the enterprise activity. The purpose of Porta Assessoria is to adapt the labour necessities of the company to the current regulations, and also to manage all transactions that the labour law requires to the company. 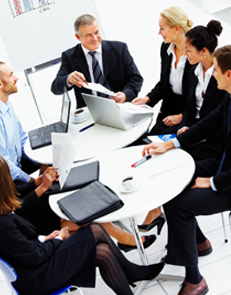 The Firm is specialized in collective bargaining and company agreements. Porta Assessoria is noted for its participation in labor disputes, such as, representing companies in all types of court proceedings, including collective disputes, administrative sanctions or claims for discrimination and harassment. Remuneration policies, incentive systems, insurance, pension plans. Flexibility of working conditions to optimize the quality and productivity of human resources. Social Security: we provide advice related to social security issue and reductions in contributions. Geographic mobility and Functional adjustment of the company to the effective labor legislation.